In January of 2014, Puratos was in the initial stages of planning a merger of two of its plants and required heavy-duty enclosures to house vital electronics. After searching online for pc and printer enclosures, Puratos found ITSENCLOSURES and reached out for initial enclosure options and ballpark pricing. After engaging with Puratos, ITSENCLOSURES decided to travel to New Jersey to evaluate the project in person. The Puratos location in Pennsauken, New Jersey was in the process of merging two manufacturing plants and wanted to upgrade their enclosure equipment. They desired a freestanding enclosure to house a barcode printer, computer, keyboard, scanner, mouse, and a wide screen monitor. Puratos was also interested in ITSENCLOSURES’ line of flat panel monitor enclosures, which can be bolted to a wall, pedestal, or arm. ITSENCLOSURES toured the Puratos plant in February of 2014 to assess the challenges and assist with the development of a viable solution. Part of the plant required computer enclosures to protect against dust and dirt, while another plan required stainless steel to withstand a wash-down environment. One of the biggest challenges: Puratos is a food production company and must maintain the utmost cleanliness throughout the factory. 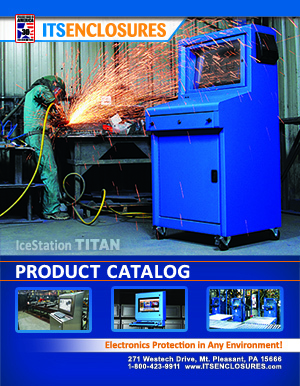 After visiting the plant, ITSENCLOSURES made the recommendation to deploy the NEMA 12 IceStation TITAN freestanding enclosure. 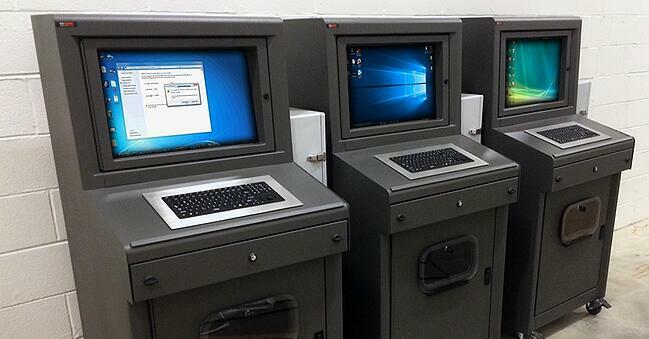 Each Puratos enclosure houses a barcode printer, computer, and a wide screen format monitor. 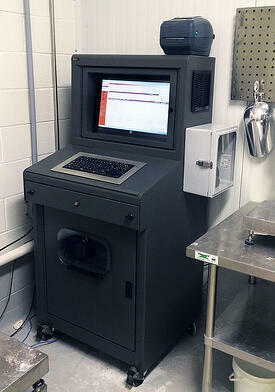 ITSENCLOSURES also provided a side mounted enclosure to house a hand-held barcode scanner, installed on the right side of the cabinet. An industrial, heavy-duty keyboard/hula point combo mounts to the sloped work surface. The second solution involved a customized stainless steel operator interface enclosure, which mounts to existing swing arms already installed throughout the plant. 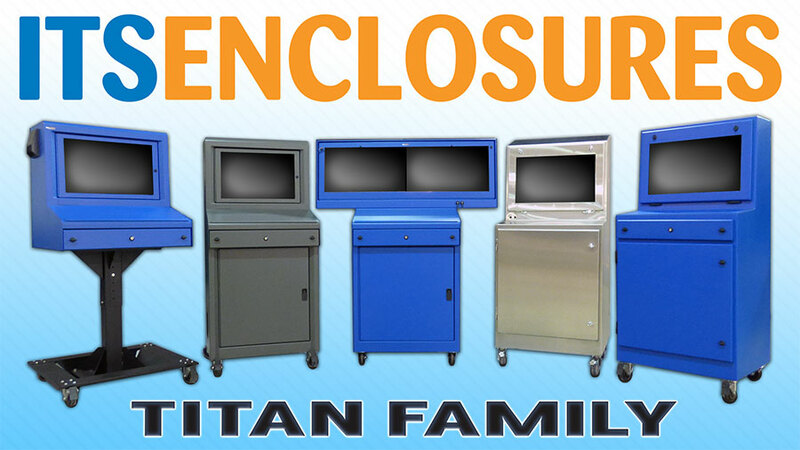 ITSENCLOSURES provided custom, flat topped IO28268-4X monitor enclosures with touchscreen cutouts. The touchscreen cutout was factory installed in the IO28 door at ITSENCLOSURES prior to shipping. Previously, Puratos purchased a competitor’s NEMA 4X enclosure that required an 'in the field' modification to install the panel mount touchscreen. ITSENCLOSURES’ solution is more efficient and saves Puratos money in the long run.